Our tax litigation attorneys are often asked whether failing to report income is tax fraud. We explain that there are various “badges of tax fraud,” and a simple omission of income may not be tax fraud. 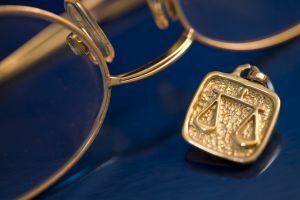 A recent Tax Court case illustrates that when coupled with other badges of tax fraud even a small tax due can result in a 75% civil tax fraud penalty. In the case of Porch v. Commissioner (March 2012) Porch underwent a tax audit by the IRS for the years 2005 and 2006. At the audit Mr. Porch produced a Form 1099 and 13 unnumbered invoices which roughly totaled the gross receipts reported on the 2005 tax return. Porch did not provide his bank statements to the auditor at that point even though they had been requested. At the second meeting he furnished some, but not all of the requested bank statements. Ultimately the IRS summonsed the statements from the bank, at which point the auditor figured out that business income had been underreported by about $36,000 and $48,000 for 2005 and 2006, respectively. In addition, it turned out that Porch failed to report the gain on the sale of a house, and capital gains from the sale of securities. The tax due, however, was relatively small; $8,392 and $4,471 for 2005 and 2006, respectively. A few of these badges of tax fraud were the most egregious. When Porch went to the tax audit he attempted to mislead the agent by presenting documentation which suggested the amount reported was accurate when in fact he knew that was not the case. The Tax Court was also not pleased with Porch’s testimony at trial. On their 2005 tax return Porch and his wife reported adjusted gross income of around $11,000, and they deducted a similar amount for mortgage interest and taxes Porch answered in the affirmative when asked if he was the primary breadwinner in his family. Then, however, when asked how they supported themselves on the amounts set forth on the tax return he testified: “I mean it was rough. My wife, my friends, Lomax. You know, people helped me out. I mean, when I couldn’t make ends meet, you know, I prayed about it.” The judge referred to this under the heading of Implausible or Inconsistent Explanations of Behavior. In the view of our tax litigation attorneys had Porch not been caught in several apparently dishonest statements perhaps he could have avoided the tax fraud penalty. If you are concerned about IRS civil or criminal tax fraud penalties contact our tax attorneys for a confidential consultation at 800-380-TAX LITIGATOR.